Computer viruses have an ability to infect your computer and capable in copying itself. And this will cause harm or will cause damage to your computer files or system. And this will cause you also to killing your time in working on your computer. This will cause to hindrance all your work using your files and access to the internet. One of the most damaging virus that will infect to your computer storage like the USB flash drive. 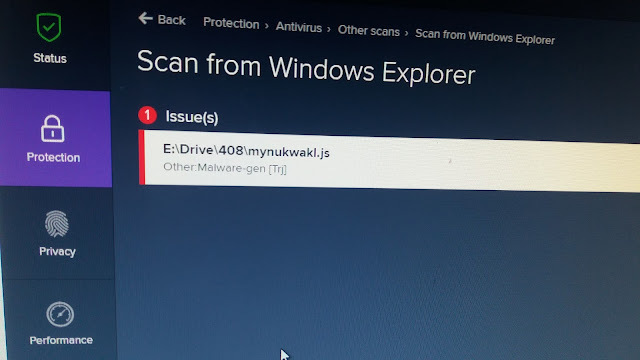 This storage device is most commonly we use, but aware that this will easily also infected by the virus called "Malware-gen [TR]" with the filename called MYNUKWAKL.JS. This malware virus is not so harmful in computer operating systems, but in your USB flash drive files. Once you have inserted a USB flash drive infected with this virus, and open it and double click a folder. It will open automatically a command mode program. And after that you will see your files have a multimedia icons shortcut. By this case you can't open your files using that autorun shortcut. 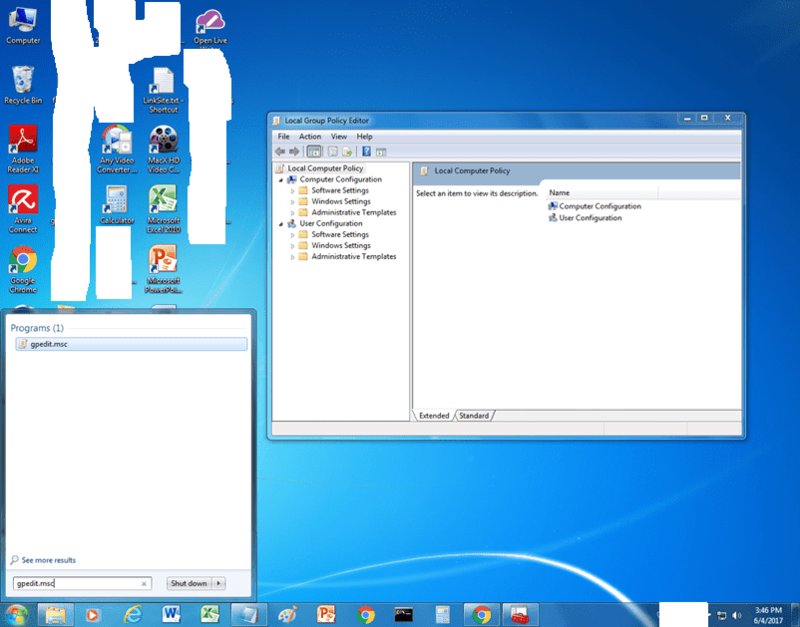 And the worse of all, this will cause you will not install a program directly in a normal mode of your desktops. Like installing antivirus programs or even running the cleaner. Another this will cause also to infect another clean USB flash drive if you will insert it into USB port. 1. 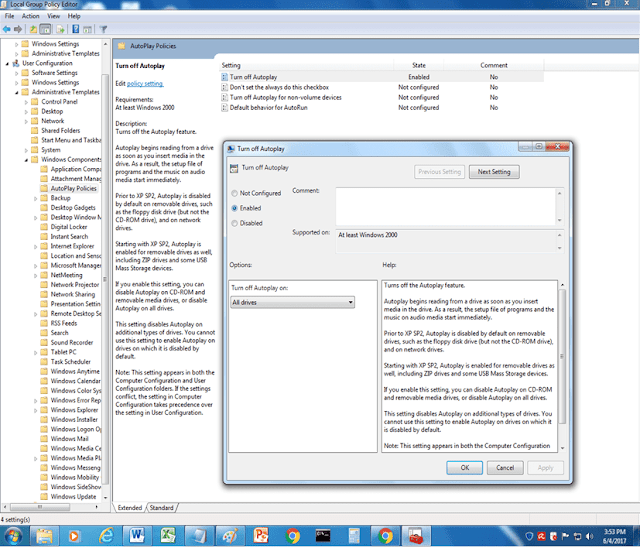 DISABLE THE AUTORUN SHORTCUTS USING WINDOWS GROUP POLICY- Since malware infected the autorun shortcuts all you need is to disable this. 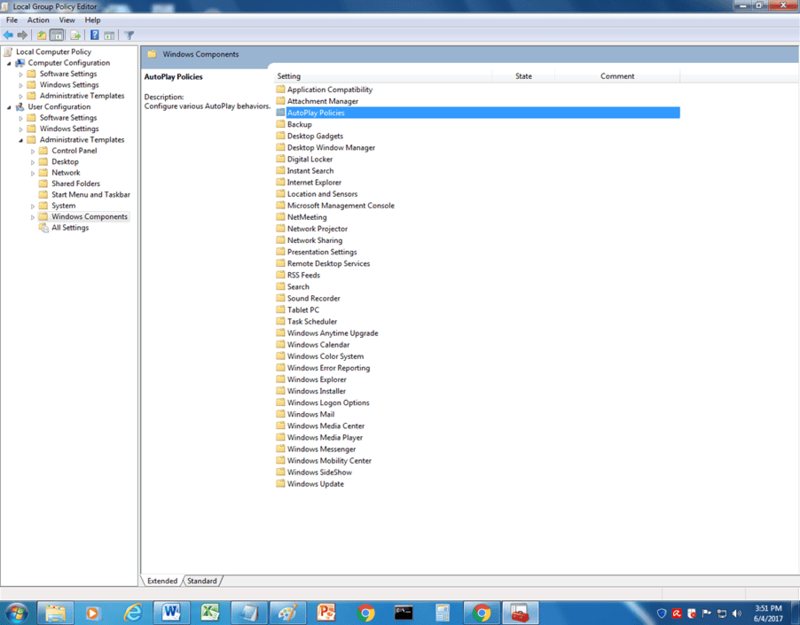 Click start button, this click in the search bar, then type gpedit.msc/ Once the Group Policy Interface will open, click Administrative Templates under user configuration. / Then click windows components on the right side of the screen. Then double click autoplay policies. Double click to turn off autoplay. Then in another window, click enable. Then click apply, then click ok.
2. INSTALL A ANTI- MALWARE SOFTWARE- Since you can't use your anti-virus software free edition like AVIRA in a normal mode of desktops. You need to install anti- malware software like MCSHIELD, this program are very good to remove malware of your USB flash drive. But since you can't install in normal desktop, windows, you need to restart and run your computer in safe mode. Follow the instruction below. Once it will back in POST, then upon starting windows, press F8. Once the advance menu will display, select safe mode. Wait in a minute, after that the windows will ask you to enter your password. Then, once you're in the desktop of your computer using safe mode, install the MCSHIELD. After you install the anti malware program restart your computer. And back to normal mode on your computer desktop. Update the newly installed program by right clicking the MCSHIELD icon in the notification area. Or double click the shortcut icon in the desktop. Then after updating, insert your USB flash drive that have the malware virus and runs the MCSHIELD and perform scanning. 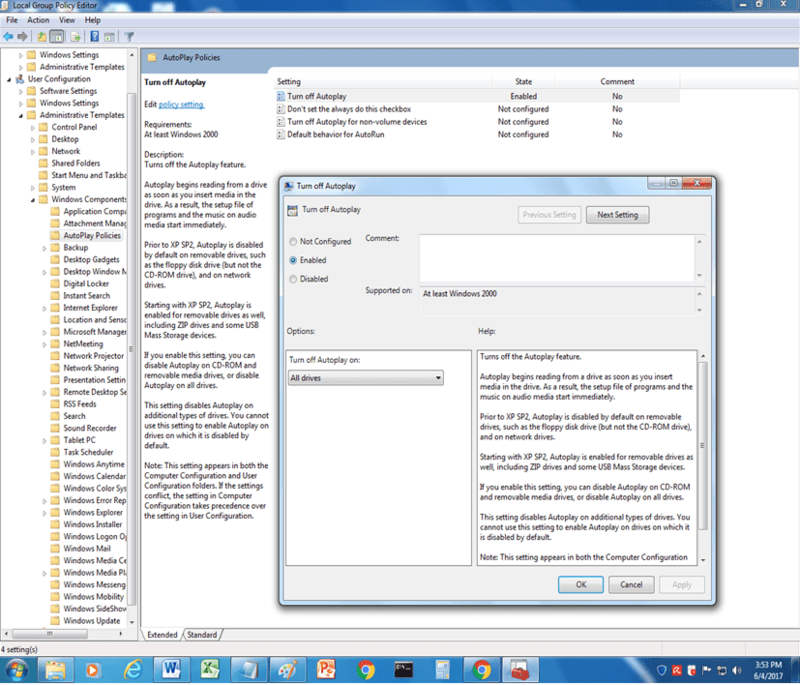 After the scanning this program will give you notification using the notepad. Then check all the malware on your USB flash drive will be removed.